Washington, D.C.: US negotiators are preparing to press China next week on long-standing demands that it reform how it treats American companies’ intellectual property in order to seal a trade deal that could prevent tariffs from rising on Chinese imports. Higher principal-level talks will take place Thursday and Friday with US. Trade Representative Robert Lighthizer and Treasury Secretary Steven Mnuchin. Lighthizer, whom Trump named to spearhead the process after agreeing a 90-day truce in the trade war with Beijing, has been a strong proponent of pushing China to make such reforms and end what the United States views as unfair trade practices including stealing intellectual property and forcing US companies to share their technology with Chinese firms. The two sides are trying to hammer out a deal ahead of the March 1 deadline when US tariffs on $200 billion (Dh734 billion) worth of Chinese imports are scheduled to increase to 25 per cent from 10 per cent. “We are hearing the list of issues the two presidents will ultimately have to make decisions on is being narrowed, so that’s an indication that things are being addressed. 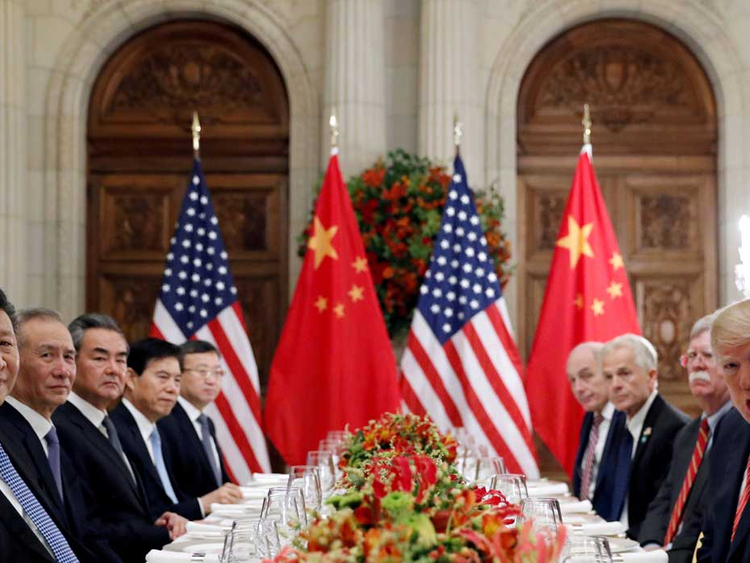 But we’re also hearing that there’s a lot of work to be done” said Erin Ennis, senior vice president of the US-China Business Council, who says she has spoken with officials in both the United States and China. I don’t think either side is expecting a draft of something next week.” Another source who had been briefed on the talks said a lot of work also needed to be done on an enforcement mechanism for a potential deal. “If there’s some indication that they’re making progress on subsidies, forced tech transfer and the constellation of issues there and an enforcement mechanism, that would be interesting. The word coming out of this last round was that there was very limited, measly progress on those issues” the source said.